Before I begin this post, I want to introduce myself, as you most likely have not seen my name on this website before! 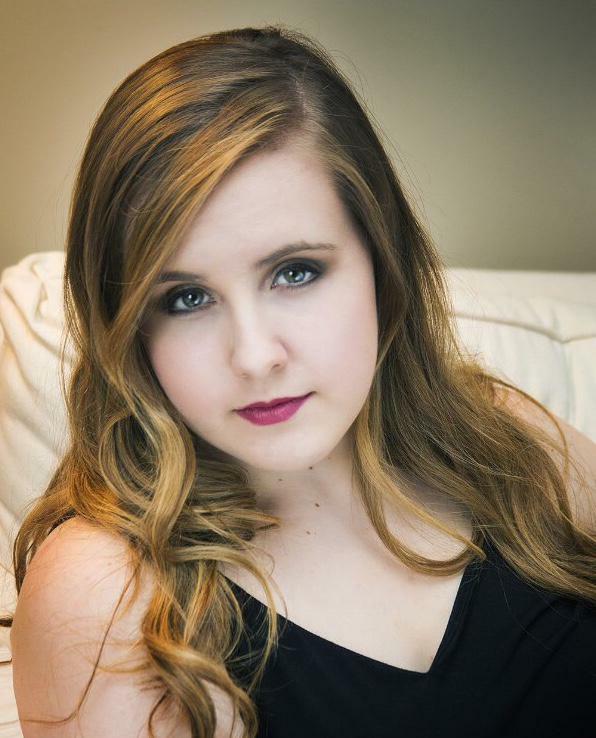 My name is Ellen Robertson, and I am the Eastman School of Music Arts Leadership Program Spring Intern at Classical 91.5; I am originally from Murfreesboro, Tennessee, and now a senior majoring in vocal performance. I am honored to start this journey at WXXI and to delve into the new-to-me realm of public radio, and I am happy to begin my internship by discussing my interest and experience in music therapy as a part of WXXI’s Dialogue on Disability week. I first became interested in music therapy when my home church participated in a program called, “Music and Memory” at a local nursing home. Each patient in the program was given an iPod loaded with his or her favorite songs from childhood, teenage years, early adult life, etc. Many of these patients were non-responsive or nonverbal and had been for many years. A few members of my church were assigned to each patient; we got to know each patient as well as we could before assisting them in operating their iPods. As we observed them listening, the results were fascinating. One patient with whom I was sitting, who had been nonverbal for several years, immediately began to sing when she heard her favorite Elvis song. Most patients perked up and showed that they could understand the music. While this type of program is technically not considered music therapy since it is not administered by a licensed therapist, it showed me the power of music’s effect on the brain. This initiated my interest in music therapy, particularly for the elderly with dementia and memory loss. As soon as I heard that Eastman was offering a class called, “Introduction to Music Therapy,” last spring through the Arts Leadership Program, I signed up. I was so excited to learn more about this subject, an opportunity that I know would not be available to me at most schools as a non-music therapy major. During the class we were assigned readings from the Journal of Music Therapy and other books on the subject; I selected two related to elderly patients, both with and without dementia. One essay, by music therapist Betsey King, talked about a man named Sam who was diagnosed with Alzheimer’s. King wrote about the results of their sessions together, including using a “contact song” (a song that is meaningful to Sam with which he can actively interact, not listen passively), assigning gestures and lyrics for every day purposes to music to enhance Sam’s memory, and using complex harmonies and rhythms and variation in musical styles to keep Sam alert during sessions. This article provided excellent examples of using music for non-musical purposes to enhance the quality of Sam’s life. Additionally, an article from the Journal, by Meganne K. Masko, reflected on the use of music therapy in end-of-life patient care. Although the topic was not directly related to memory loss, Masko discussed the ethics of music therapy in spiritual care, which I found to be an interesting point of view on music therapy as a profession and how/when it should be used. Although this practice is still in question, I was intrigued by the idea of using music therapy to make a patient more comfortable and spiritually heightened in the final stage of life. One of my favorite parts of the class was completing an observation of a music therapist in the Rochester area. I chose to observe the music therapist at the Friendly Home, a senior living center outside of downtown. I enjoyed watching him work with patients because he approached the therapy from the stance of playing games and having fun; it never felt like a therapy session. He incorporated music into games and interactive activities, combining the two to enhance necessary skills for patients (memory, motor skills, decision making, etc.) I realized while observing that music allows patients to enjoy the therapy and helps them to forget the fact that they are actually in a therapy session, and it also allows them to form a strong relationship with their music therapist. Music produces feelings of intimacy and closeness between people, which creates trust and encourages bonding between music therapist and patient. I am very grateful for the opportunity to explore my interest in music therapy at Eastman and here in Rochester. My eyes have been opened to the amazing benefits of music therapy for patients, their families, and music therapists themselves. I was also happy to learn that music therapy is so readily available within communities, including at schools, hospitals, nursing homes, in the workplace, etc. After learning more about the advantages of music as therapy, I have assurance that, even if I do not become a music therapist, the work that I am doing as a musician will benefit the minds, hearts, and spirits of my audience and my community.